Q: Are your technicians experienced? What certifications do your technicians hold? A: Yes, our technicians are experienced. Many hold I-CAR, ASE, and RVDA certifications. These credentials have been earned through rigorous testing and are used to establish competency. Our technicians are equipped with the knowledge to provide service to all vehicle makes and models, both foreign and domestic. For our customers, these credentials provide an added level of quality assurance. Q: What kind of autobody work does Complete Car & RV specialize in? A: We handle all types of autobody repairs from minor scratches to major collision damage and from the mechanical inner workings to the paint. Our body shop features frame and unibody straightening. Our bumper-to-bumper service takes care of your vehicle from the inside out. Check out our gallery of before and after photos that showcase our like new finishes. Q: What makes Complete Car & RV Repair different from other autobody repair shops in the region? A: We know that you have a number of autobody repair shops in the St. Charles and the greater St. Louis region to choose from. We are a family-owned business with a friendly staff. We are proud of the comprehensive services that we provide, ranging from general vehicle maintenance for cars, trucks, and motorcycles to collision repair for vehicles that sustained accident damage and our complete package for RVs which includes RV maintenance, repair, and storage options. Next time you have vehicle service needs, check us out! Our clients are like family, and we are proud of the long-standing ties we have with them and with our community. Q: My car’s been damaged in an accident. Do I have to use the repair shop my insurance company recommends? A: No, you don’t have to follow your insurance company’s recommendations. You can have your vehicle repaired at the shop of YOUR choice. We suggest choosing a professional company, experienced with working with insurance companies, who will take care of you and look out for your best interests. 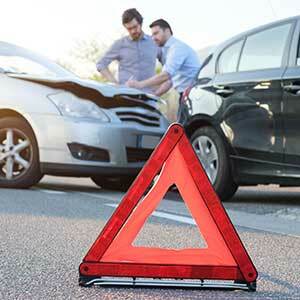 At Complete we know that accidents are unplanned and are a disruption to your normal routine. We work with all insurance companies and make the repair process quick and easy for our customers. Need a lift? No problem. We also offer towing and shuttle services to our clients. Q: What maintenance services does Complete Car & RV Repair offer? A: We offer a full range of maintenance services from basic oil change and wheel alignment to engine and mechanical repair. Whatever problems your vehicle is experiencing we have the equipment and qualified personnel to fix it! Q: How do I prepare my RV for storage? A: It’s always best to consult your owner’s manual for storage tips specific to your vehicle; however, use the following do’s and don’ts as a starting guide. Do a thorough cleaning.Clean all surface areas. Clean and defrost the refrigerator. Use an insect preventative. Place mesh screening inside vents and cover with cardboard to prevent unwanted entry from animals. Lubricate all doors. Do empty and clean sewage and water tanks.After emptying, clean your tanks with a mixture of baking soda or bleach and water. Don’t forget to empty toilets and the water heater. Complete Car & RV Repair has a dumping station for your convenience. Turn off the main breaker and unplug everything electrical. Make sure batteries are fully charged. Consider removing the battery and storing it in a different location at room temperature, if you are storing your RV for the winter. Do close off the propane tank. Shut off all gas appliances. Consider removing the propane tank and storing it in a cool, dry place, such as a basement. The roof and identify any cracks or leaks, sealing them to prevent expansion and damage. Do fill up your gas tank. Inflate to the recommended pressure. Use covers to protect tires from harmful UV light. Consider removing the tires to prevent flat-spotting, which can cause ride disturbances until the tires warm up. Cover up your RV to protect your investment from the elements. Q: We are in the market for a used RV. Does Complete Car & RV Repair sell used RV’s? A: Yes, we do offer used RVs and other vehicles for sale on consignment. Check out what we currently have in stock. Q: What kind of vehicles do you store? Is the storage lot at Complete Car & RV Repair secure? A: Our outdoor storage lot has room for RVs, boats, cars, and trucks. The wide and angled spaces as well as the lot width helps ensure ease of vehicle movement. We also have an indoor facility for motorcycles. Our lots are well lit, camera monitored, and fully secure. Renters have 24/7 access to their vehicles. Q: What are the benefits of having Complete repair my RV or car instead of using a dealership? A: We are fully equipped to handle any RV problem, and our RVDA-certified technicians provide expert service. We won’t cut corners or recommend any unnecessary repairs or maintenance services. We honor all warranties and use manufacturer replacement parts. We are prepared to take care of your RV! Q: I have a fleet of vehicles. 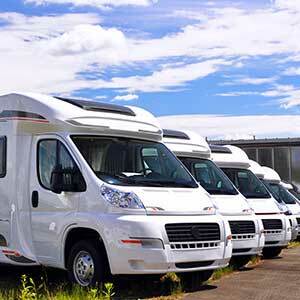 Does Complete Car & RV Repair have the capacity to take care of our company? A: Yes, we have the capacity and personnel to take care of vehicle fleets. We work with your management company and can service and repair both small and large vehicles from cars to firetrucks. It is our goal to keep your employees on the road and productive so they can serve your customer population, and you won’t experience any revenue loss or decrease in productivity.